Imagine your index finger is a magic wand. It’s dark as you pull into the driveway after a long day at work or an evening out. 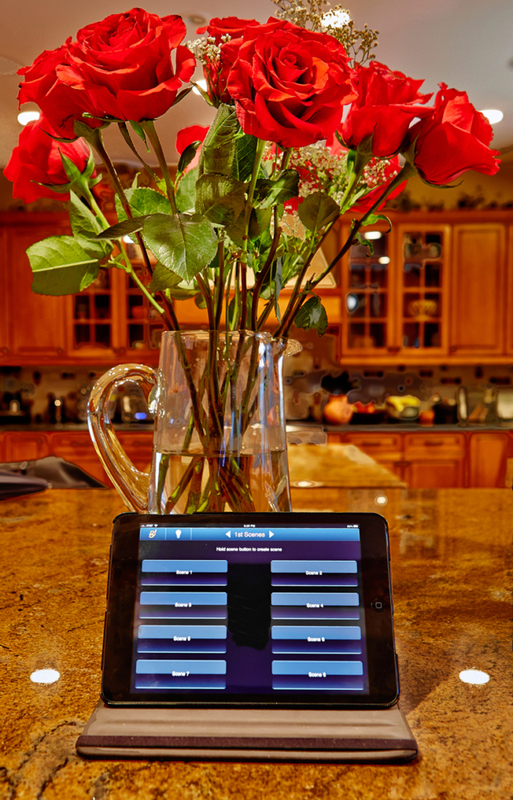 You cradle your smartphone or tablet, and “tap”, the hall lights snap on for a safe and welcoming entry. Perhaps dinner is at 8. The table sparkles, and enticing aromas waft from the kitchen. What about lighting? 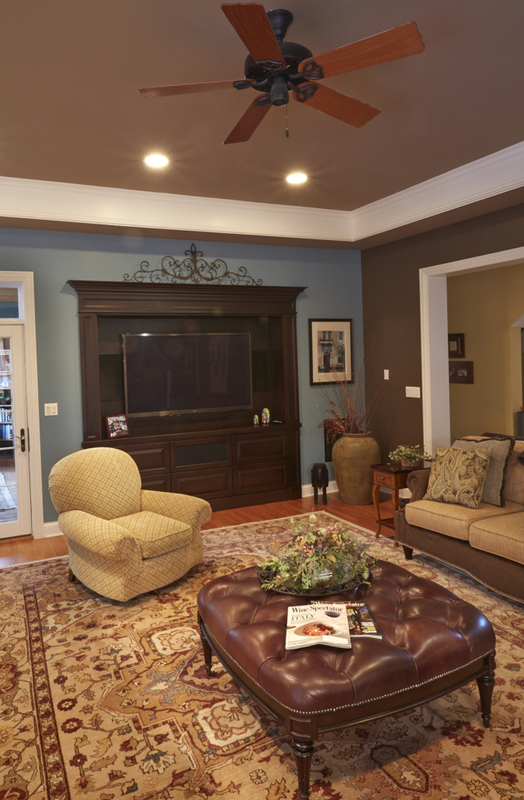 Candles alone are insufficient, but the wall switches and dimmers can complicate setting the scene. Wait, “tap”: Recessed lights around the table dim to envelope it in focused friendship while the chandelier gently brightens to ensure each bite goes easily to its destination. 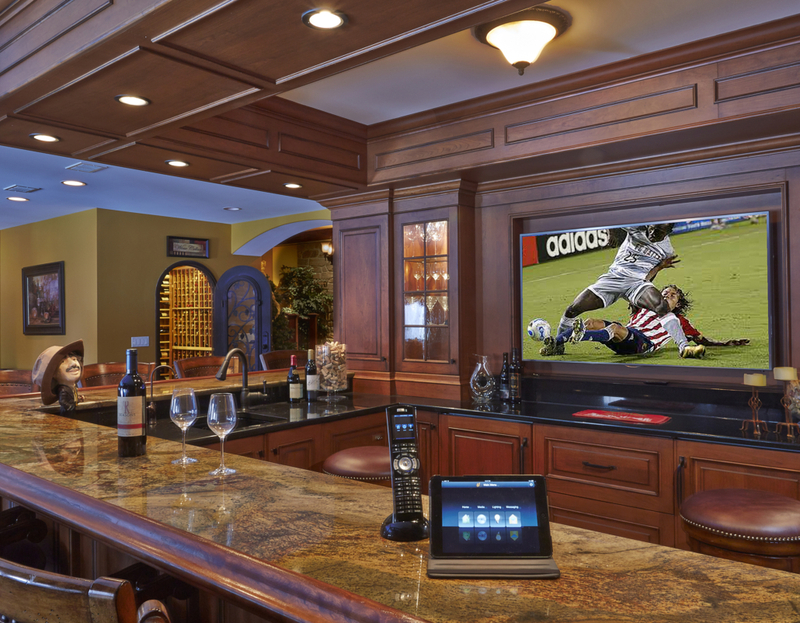 Installed by Digital Home Technologies, the Lutron RadioRA 2 System is your sorcerer’s apprentice for customized light control, be it for these scenarios and many others––maybe in the downstairs bar on game day or for a movie in the media room. This is magic made easy and affordable. 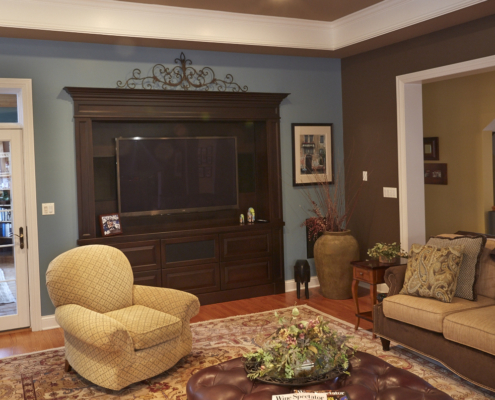 There is no need to break into walls to install the system. For the most part, you just replace existing switches with the RadioRA 2 controllers. 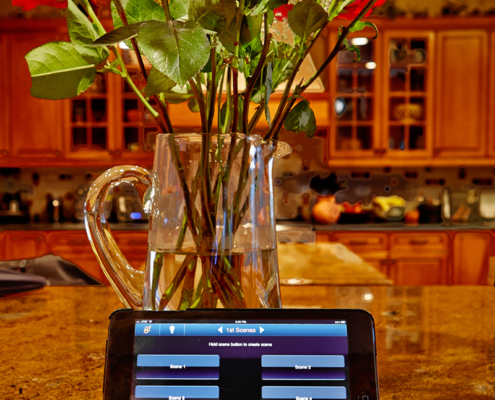 Through the home’s robust wireless network and an app, the controllers “talk” to your hand-held device, which can display the status of lighting in every space you have programmed. Tap the space and up comes a screen for that room. Tap again and a screen called “Scenes” appears. At “Scenes” your direct the movie. You can set the lighting levels for each circuit in that space. Give it name, for example, “Smell the roses (center photo)” or “Dinner at 8”. The next time you want that scheme, it is at your fingertip.And that fingertip can be in the home, at the office or on a beach in Hawaii or Italy. 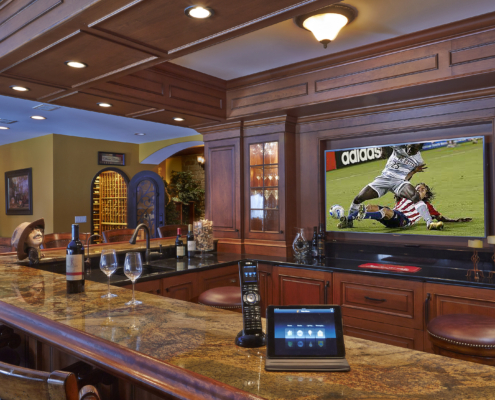 The RadioRA 2 integrates with existing home automation systems such as ELAN g!, which is the overall system for this Northwest Suburban home. Here two busy professional parents and their teenaged children rely on ELAN g! for enjoying their individual interests in music and video as diverse as standard cable, streamed films from Netflix or other providers through Apple TV–even play games. 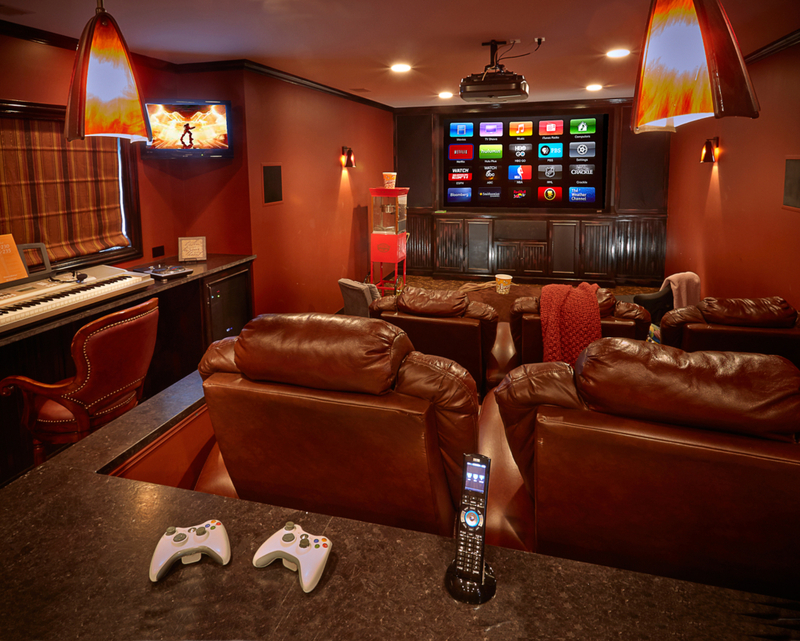 Digital Home customers since 2001, the family loves how easily ELAN lets them control multiple entertainment sources in any location in the home. Lutron RA2, ELAN g! 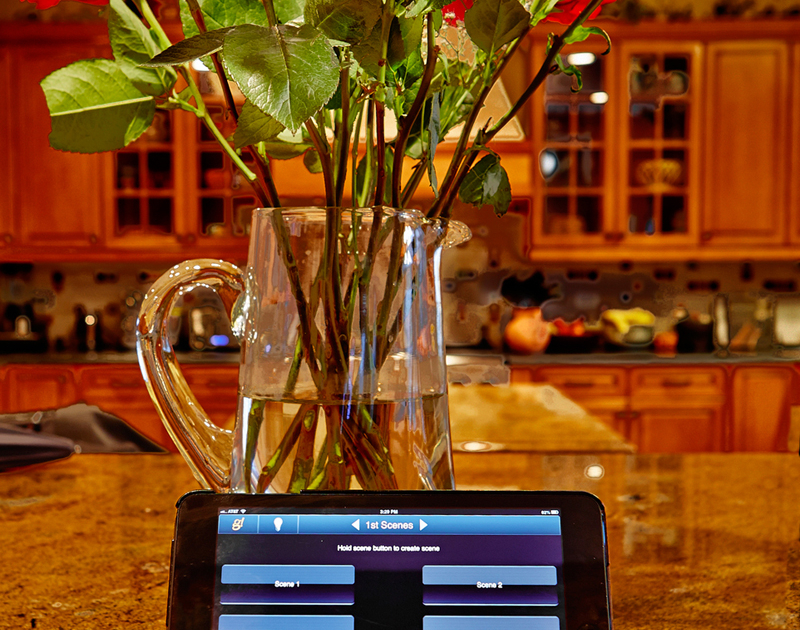 and Digital Home Technologies brighten your days.